Matt and I are so excited about what the Lord is doing and where He is calling us. The Lord has blessed us with presenting an exciting opportunity for this upcoming year. We have been given the opportunity to move to Haiti for the next year or so to serve alongside the organization, Mission of Hope, Haiti. Mission of Hope exists to bring life transformation to every man, woman, and child in Haiti. Mission of Hope was founded in 1998, and continues to serve Haiti daily by meeting the physical and spiritual needs of the Haitian population. The desire of Mission of Hope is to serve the nation of Haiti, and see lives changed. Their passion is to see the hopeless find hope through Jesus Christ and empower future generations through education to bring the country out of poverty. Mission of Hope’s primary efforts are focused on church advancement, educational development, orphan care, health care, and nutrition. God has opened the door for us to work in the church advancement and educational development departments of the organization. Matt will be working as the Program Coordinator & Administrator for Church Advancement. His role will be primarily to assist the Haitian village leaders, pastors, and North American staff with reaching every man, woman, and child in the local villages to meet their spiritual and physical needs. Amanda will be working as the Teacher for Missionary Children as well as ESL Teacher for village leaders & pastors. 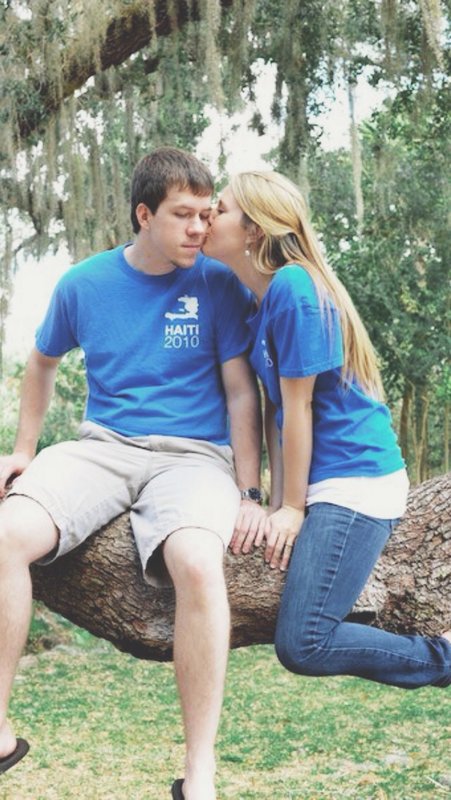 We will leave for Haiti on September 2, 2013 to begin our year there. Because we are going as missionaries to the country of Haiti, we will be raising financial support that will enable us to serve in Haiti. Our fundraising goal is $3,000/month for a total of $36,000 for the year. We need to raise most of that amount before we leave on September 2nd. Although the number is large and the time is short, we know that the Lord provides. He calls people to go, but He also calls people to send. We ask that you would prayerfully consider supporting us financially so that we can serve the people of Haiti. Every amount will help us reach our goal, no matter how big or small. There are multiple ways you can support us. Ideally, we will have monthly supporters who will commit to supporting us with a designated amount every month. Mission of Hope has the capability of safe and secure online giving, including the option to set up recurring monthly donations. However, if you prefer to give a one-time gift, we would absolutely appreciate that as well. At the end of this blog post there is a link that will take you directly to the webpage where you can donate to support us. If you prefer to mail in your support, send us an email with your address and we will mail you a slip to enclose with your donation.We are praying that we will be able to exceed our monthly goal with all the overage going towards Mission of Hope’s project to create a gospel-centered educational curriculum to reach all the schools and children in Haiti. We are looking forward to seeing how God will work in and through us to fulfill His purpose and to reach the people of Haiti. Your support and/or prayer mean everything to us. We cannot do it on our own, but only through the support of our friends and family back home. Thank you for any way you feel God leading you to help. We will keep you updated through a blog and email newsletters as well. More information on that will be coming to you soon! Thank you so much for your influence in our lives and for your future support as we embark on this journey. If you have any questions, feel free to call or email us. We would love to talk to you! We love you all so much!